arc -- my super huge thanks to Paul at Soho for sending me my copy. "... life just glides along, until all of a sudden one day everything goes off the rails." First things first. I bought a hardcover copy of this book, so if anyone in these here United States would like my advanced reader copy, let me know and it's yours. Free, gratis, and I pay postage. It really needs a new home. "Several personalities in the book see acts like lying, misrepresenting, informing, and betraying confidences as inconsequential, trivial matters, thus diluting the difference between guilt and innocence. Even murder is perceived as an accident for which no one is to blame." He also calls the story an "intensely complex psychological drama," and this is much more the reality of this book than the "Chandleresque mystery" it's advertised as. It's true that the author loved Chandler, and as the intro goes on to say, like Marlowe, the main character of this novel "struggles" ... "to make her existence worthwhile in an environment devoid of respect for human life." What the author has given us here, I think, is much more of a fictionalized picture of an historical reality in a totalitarian society -- where people live knowing they are under surveillance, where informing is sometimes a way just to stay ahead of the knock on the door in the middle of the night, and where the fact of who you are can often determine your fate. All of what I'm saying here is important because if you pick up this novel expecting a standard crime-novel plot trajectory, you're reading the wrong book. As I said, it didn't take me long to figure out that Kovály was writing a somewhat-disguised version of her own story, and I absolutely had to know more about this woman so I picked up her memoir Under a Cruel Star: A Life in Prague 1941-1968. 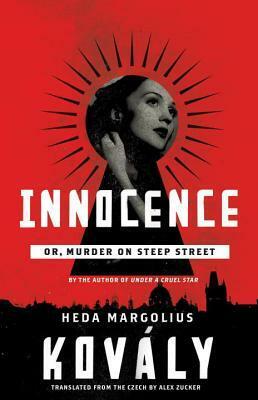 If you have the option, either read Under a Cruel Star just before or right after reading Innocence -- as I noted in my own post about that book, it is (in part) an examination of human nature and the moral choices people make under some horrific and appalling circumstances. And if you read carefully in Innocence, you'll notice the same thing goes on here in the "fractured incarcerated society" that was 1950s Prague under totalitarian rule. Just briefly, Helena Nováková works as an usher at a theater. This is the best job she can get now because her husband has been imprisoned, and she herself is also under surveillance, as the powers that be believe she must have also been involved with her husband's activities against the state. Not only does she have a low-paying job, she is poison -- anyone seen talking or socializing with her may also come under suspicion; informants are everywhere. Of course neither Helena nor her husband are guilty, but it didn't take much at that time to fall under the purview of the state. The theater where she works becomes a crime scene with the discovery of a dead boy, and now it is not only Helena who is being watched, but the others who work there. The story really centers on this small group of people -- their secrets, their personal interactions with each other and their lives outside of the theater -- and of course, more murders follow. As I said earlier, the focus of this book isn't so much on the crimes; instead, it's more about the choices the main characters make as they find themselves becoming caught up in various situations. It is a bleak book, one that really gets across the sense of the existing fear and paranoia of the time and one that reflects what ordinary people had to endure under this regime. But the bottom line is, it is also one woman's very personal (albeit disguised) story, and Heda Margolius Kovaly is a woman whose true story is worth knowing. A beautiful book -- maybe not so much a great mystery novel, but once you're into it you start to realize that the crime component truly is not the important story here. Even if it turned out to be something I wasn't really expecting, I loved this book. It won't be everyone's cuppa, but it most certainly was mine. Once again, my sincere thanks to Paul at Soho. Good points; sometimes the repercussions of any choice is what contributes to success or defet. Well, it's much more a case of doing things people wouldn't normally do, given the need to stay alive in this situation. Thanks for the introduction to this book. It sounds great, but not going on my list yet because I have way too many books I haven't read yet. I do love Soho's crime fiction books. 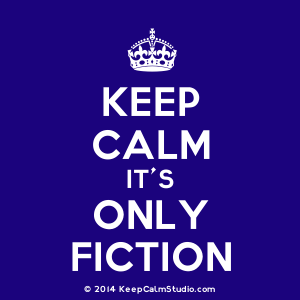 I turn down lots of books for the same reason -- I have this ongoing fantasy I can actually read all of the books I own!